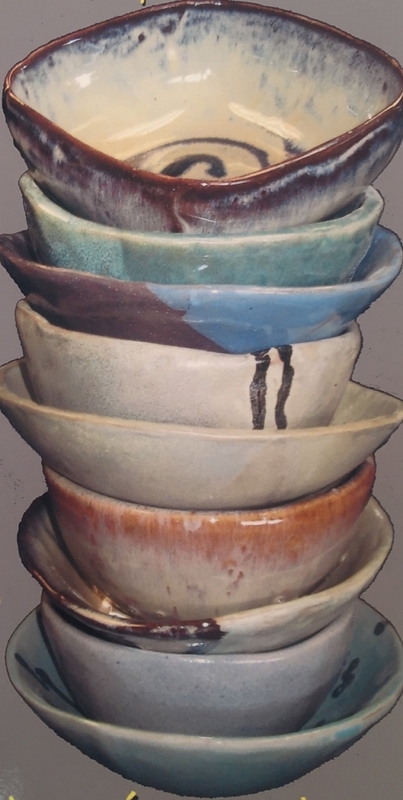 Empty Bowls has been a fundraiser for several years at Messalonskee High School. The purpose of this project is to raise money for food pantries in our communities. It is also about raising awareness that many people are struggling to provide food for their families. Students in pottery classes, faculty members, and people in the community have been crafting ceramic bowls under the direction of ceramics teacher Sherrie Damon, to be sold as part of the dinner. The bowls will be on display for diners to choose and take home after their meal as a reminder of the event and what is represents. This year the Empty Bowls will be held on Friday, March 8, from 5 to 7 p.m., in the Messalonskee High School Cafeteria. Cost is $10 for adults and $8 for seniors and students. The menu will include homemade soups, salads, rolls, drinks, and desserts. There will also be a raffle and prizes to give away. Diners can complete the evening by attending Something Wicked This Way Comes, performed by the MHS Players. The show starts at 7 p.m.
For more information call Susan Perrino at 465-9135 or email sperrino@rsu18.org. They are: Natalie Palmer, of Augusta, and Kayla Christopher, of Oakland. The following area students have enrolled at Colby College, in Waterville, for the 2018-19 school year. Benjamin J. Amalfitano, of Oakland, is a graduate of Messalonskee High School. He is the son of Neil and Kimberly Amalfitano, of Oakland. Benjamin K. Bernier, of Waterville, is a graduate of Waterville Senior High School. He is the son of Daniel and Jennifer Bernier, of Waterville. Jacob T. Burton, of Oakland, is a graduate of (high school unknown). He is the son of Thomas and Lisa Burton, of Oakland. Jarret T. Mayo, of Fairfield, is a graduate of Lawrence High School. 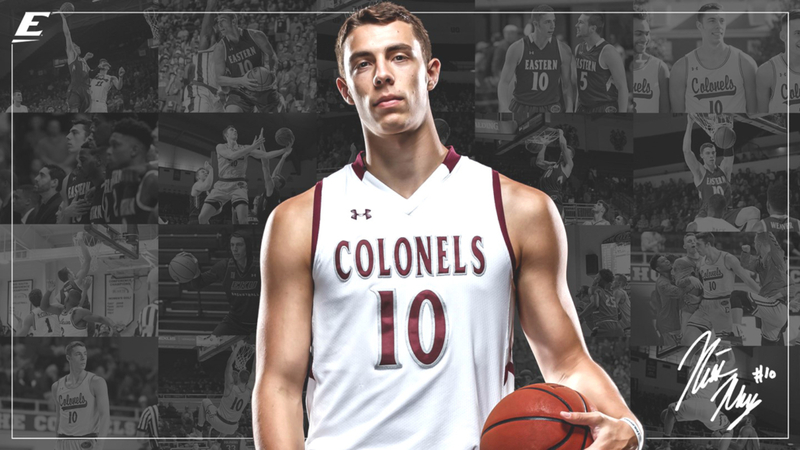 He is the son of Thomas and Tammy Mayo, of Fairfield. Luca R. Thamattoor of Waterville, is a graduate of Waterville Senior High School. He is the son of Dasan and Davida Thamattoor, of Waterville. CANTON, NY (06/01/2018) — Nearly 520 students received bachelor degrees from St. Lawrence University during Commencement ceremonies held on May 20 in Canton, New York. Sydney A. Kahl of Waterville. Kahl is a member of the Class of 2018 and majored in environmental studies. Kahl received the degree of bachelor of arts. Kahl attended Plymouth Regional High School. Kylee P. Knight of Oakland. Knight is a member of the Class of 2018 and majored in neuroscience. Knight received the degree of bachelor of science. Knight attended Messalonskee High School. 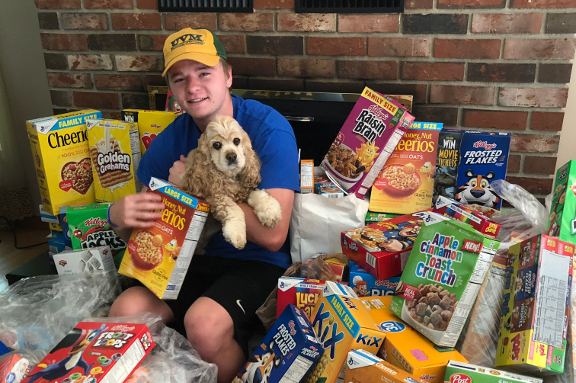 Colby Charette (and his dog Sadie) sit among the over 150 boxes of cereal collected at Oakfest’s first “ShineOn Oakland Day” in support of local kids. 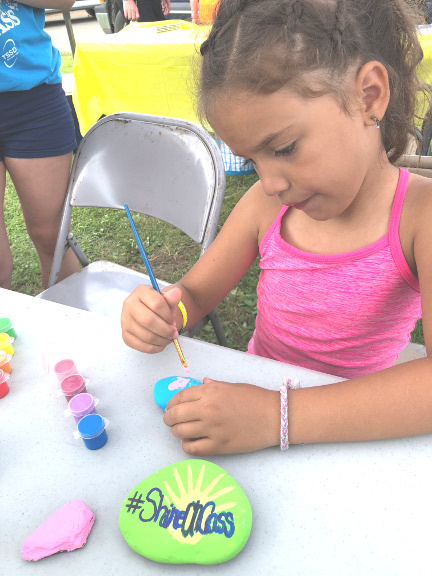 Avery Charland, of Fairfield, was among hundreds of kids who painted positive messages on rocks to hide in the community to spread kindness as part of the July 28 “ShineOn Oakland Day” at Oakfest. Oakland’s first “ShineOn Oakland Day” July 28 collected over 150 boxes of cereal, bringing awareness to child food insecurity and feeding local families who receive support through the Oakland Food Pantry. The ShineOnCass Foundation partnered with the Town of Oakland’s summer festival “Oakfest” which featured three days of community events including a street dance, farmer’s market, triathlon and a parade, where parade goers dropped boxes of cereal into shopping carts pushed by area students involved in ShineOnCass initiatives. Anya Fegal helps collect cereal boxes in one of the ShineOnCass shopping carts. Monica Charette, who organized the event with Foundation volunteers, said she hopes this will become an annual event to support the Oakland Food Pantry, local families in need and offer opportunity for children to participate in an activity that gives back to the community. The ShineOnCass Foundation also hosted “Oakland Rocks” where kids painted positive messages on over 200 rocks to place in their community to help spread kindness. All who participated received “ShineOnCass Kindness Matters” wristbands. 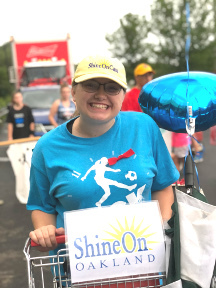 The ShineOnCass Foundation was created to honor the spirit, continue the work, and encourage others to live the legacy of Cassidy Charette, whose kindness and passion for others Shines On. Cassidy was a 17-year-old Messalonskee scholar and athlete, and a devoted community volunteer who died in a hayride accident in 2014. The organization’s mission is to educate, inspire and empower youth to make their world a better place through volunteer charitable activities. 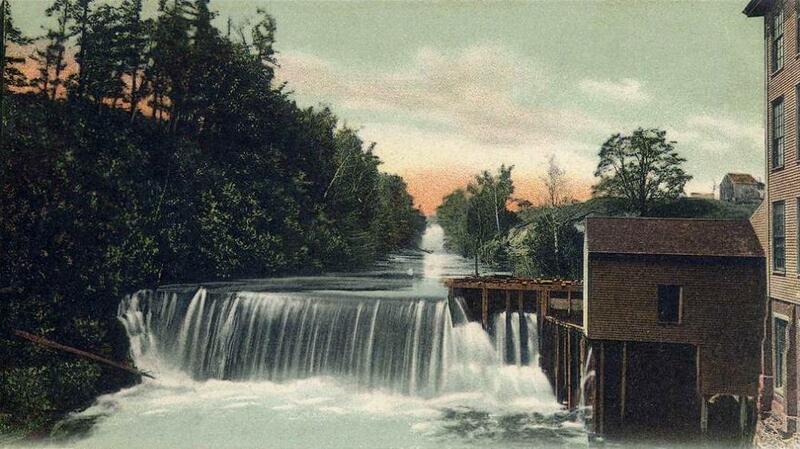 Messalonskee Stream cascade, Oakland, ME; from a c. 1906 postcard published by G. W. Morris, Portland, Maine. The Town of Oakland is currently in the process of crafting a Comprehensive Plan with the goal of creating a blueprint for the future. Fifteen community members have volunteered to join the Oakland Comprehensive Planning Committee (OCPC), which is facilitating the process. A Comprehensive Plan is a broad, long-range plan intended to guide the growth and development of a community. At its core, a Comprehensive Plan reviews the history of the municipality, evaluates its current status, and outlines a vision for its future. It typically describes the community’s natural resources, housing, economy, infrastructure, transportation, recreation and public spaces, and community facilities, and provides recommendations for those components. Volunteers on OCPC have convened for several months to build an inventory and to create methods of collecting public input. Their dedication to the process has impressed Bob Nutting, who participates in OCPC. “It’s very special to have fifteen community members volunteer two years of their time, energy, and skill. Their volunteerism illustrates the passion OCPC members have for the Town of Oakland,” said OCPC Chair Bob Nutting. OCPC emphasizes the importance of community involvement in the Comprehensive Plan process. Input from the community is critical, as it shapes the vision for the Town’s future. This summer, all Oakland residents and businesses will have the opportunity to express their thoughts on Oakland’s core values, possibilities, needs, and direction. OCPC looks forward to the community’s participation in its efforts to collect input, including public workshops and a community-wide survey, which will be going live digitally and mailed to Oakland residents on Monday, July 2nd. The first public workshop will be held at the Town of Oakland’s Cascade Room (6 Cascade Mill Rd, Oakland, ME 04963) on Thursday, June 21st at 4:00pm. Once the asset inventory analysis has been completed and public input has been collected, OCPC will craft a Comprehensive Plan that is easily-readable and usable. Comprehensive Plans are commonly used to promote quality of life, prosperity, and dialogue between neighbors, and to gain an advantage when applying to state and federal funding opportunities. 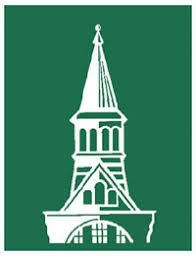 Information regarding methods by which the residents and businesses of the Town of Oakland can voice their opinions on the future of the community may also be accessed via OCPC’s Comprehensive Planning website: http://www.centralmaine.org/oakland-comprehensive-plan/. 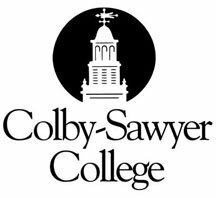 Colby-Sawyer College, in New London, New Hampshire, recognized 254 students for outstanding academic achievement during the 2017 fall semester. To qualify for the Dean’s List, students must achieve a grade-point average of 3.5 or higher on a 4.0 scale while carrying a minimum of 12 credit hours in graded courses. Ross Sirois, of Norridgewock, a member of the class of 2018, majoring in biology. Haley Carver, of Sidney, a member of the class of 2020, majoring in sociology. Chelsea Perry, of Oakland, a member of the class of 2021, majoring in business administration.